Hello to all the Drug Lords, Heisters etc on Drugwars! As you’ve noticed today was a crazy day at the Drugwars Empire. First of all we would like to say sorry to all the 1800+ early players for all the inconvenience you’ve encountered. Basically we’ve never imagined such a heavy and incredible response from the community. We planned on growing the game and its mechanism step by step but obviously we were too humble. To build the best game for the Steem Blockchain, our dev has been working almost non-stop for 3 weeks, and he is a human you can’t blame him for being tired and making mistakes right? Now that he got an helping hand it will be better, still the dev team consists of 2 developers who need to sleep...sometimes. Also, with some bugs encountered today, some players have greatly abused them while others haven’t at all. We know it’s tempting to use and abuse those bugs but we are asking you to be fairplay with other players so the fun can keep on going. As of now, it would take a crazy amount of time to refund each and every players, which is why we took the decision to drop a package by every players empire. Time is precious right now, and we need to use it efficiently, which means we need that time to move forward and to develop the perfect game to attract new players and beyond that new Steem Blockchain users. 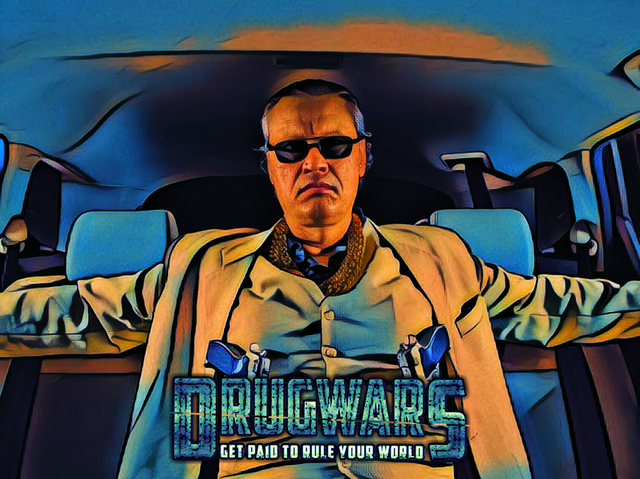 Our two developers are working hard to fix all the issues and also implement already planned features, but the top priority right now is to make Drugwars a bug free Empire. Moreover, your suggestions are taken into account and are being discussed among the team to implement in the near future. We need to deactivate the battles for the time being, as we’ve noticed some abused on it that we can’t allow as it is unfair to the other players. As mentioned in Drugwars, it is still on early access mode, the players have the full right to play it but at their own risks. Still, we’ll make it so that the players suffer the least damages possible. 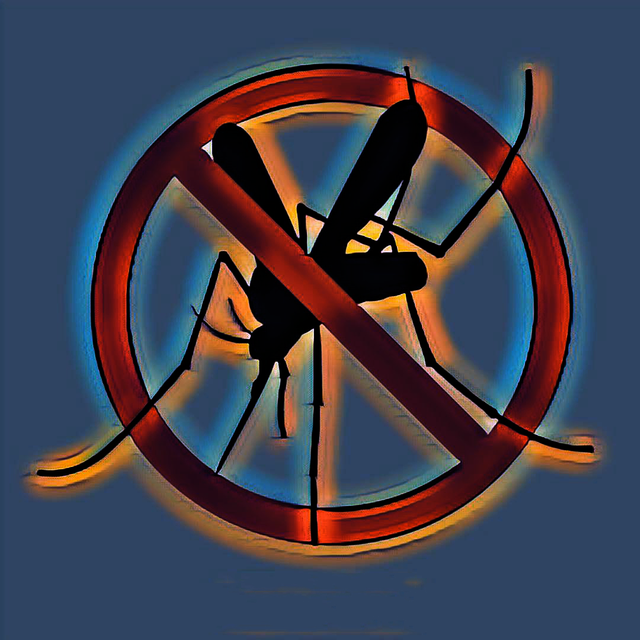 We would like to remind the players that you are contributing to the development of the best game built on the Steem Blockchain by reporting bugs, giving reviews, feedbacks and suggestions. 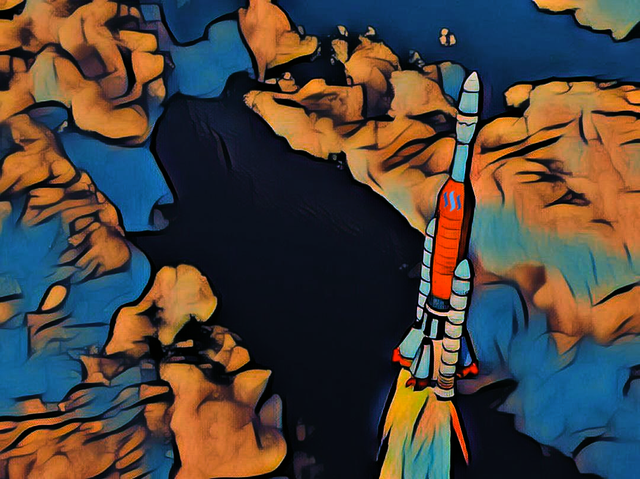 As mentioned above it’s an early access which means bugs and unbalanced things, but we promise that what we have in mind, what we envisioned for Drugwars will be beyond your expectations and will definitely skyrocket Steem. Continue the great work. Slow and steady wins the race! Thank you for keeping us informed. I love the game so far. Honesty is always the best policy moving forward. Definitely, we are overwhelmed by the community response, and we won't let you down. Honesty is the best quality that we have, and it has been like this with all of our projects! Great game keep it up ! It's disabled for the moment, as some players have been abusing a bug, the dev team is working to fix that and to improve it at the same time. 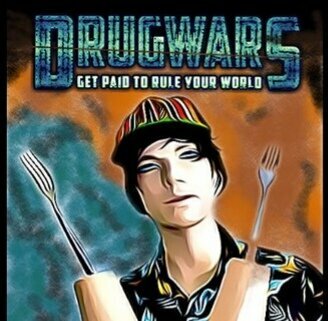 @drugwars can you clarify if all the rewards earned by your posts will get added to the pot? All of the rewards from all of the posts will be put into the daily prize! Whats this "package" that was dropped ? It isn't dropped yet, it will come later but I can't say when. I love the drugwars game because it makes me addicted. But now I can't deposit and develop everything. Hope the bugs will fly away and leave us soon. lumayan bagus mbak, gamenya. Sudah saya coba, tapi ada satu hal kekurangannya, kelihatannya hanya bisa digunakan pada satu akun untuk satu komputer. Sebetulnya bagus sih untuk mencegah penyalahgunaan refferalnya. It is a really good game. I have tried it, but there is one thing that we need attention. It seems this game only works for one account for one computer. This is good to prevent using abused referral link. That's a pain if you have housemates and family or share service with people. otherwise, I think the developer try to avoid using an abused referral link. I have tried to the test that and I can not enter the game using my own referral link with another account. So the prevention of abused using own referral link is work. I do not know how about login using without using a referral link with another account to play this game in one computer is work or not? I think I should try it. Update : I tried login as usual with another account in the same computer and it did not work. So I think this game only works for one account - one computer. It shouldn't be a problem at all. A mobile version is in the plan, but it isn't released yet. I meant to say the same tablet, forgot to type a word. Yeah. I tested it with a family member. Not a huge deal but it would be appreciated if there was a way to deal with this with out a full ban on shared IPs. VPNs are always a work around for abusers. Sebetulnya Saya lebih suka pakai 1 akun. Cuma ini penasaran mau test pakai akun lain. Apalagi kadang saya mau test apa game ini bisa digunakan multi akun via referral link, kalau ternyata bisa, Saya jadi mikir untuk invest takutnya banyak pemain yang curang. Hehehe.. Iya.. Tp selama 3 hr saya main aman2 aja.. Malah saya udh nulis review nya nih. Btw join jg ke discord nya disana seru loh ngobrol2 sama mereka. apakah sama, saat ini tidak dapat login? its creating my immuntable character......the anticipation is killing me! Thanks for beig there for me @drugwars. In other words don't cheat or exploit the game people. Thank you for that advice! I mean it rips the fun for all the players who are serious in playing it and furthermore it rips the work of the devs and it creates bugs as well. I'm not sure if they have a terms of service yet, but generally speaking since Steem is involved, anyone who exploits the game and ends up with more Steem, should probably be banned immediately since it is stealing from the devs and all the players, too. I assume this bug was getting a lot from battles but how am I suppose to know it wasn't meant to happen when playing an early access game? I've played this game before in other ways and it is common to come up like that. I could be wrong and the bug being "exploited" was something else. Don't worry, we've handled the situation behind-the-scene. So quick to respond will definitely pay off. I like the fact that there is no game breaking RNG either. If this game trends off Steem blockchain could be award-winning and seen by masses as an industry first. Your team is pioneering the genre of non-card based blockchain strategy. Happy you chose Steem. I expanded my first thoughts on the game in my most recent blog post. Feel free to join the fastest grow'n fam as we like to say who is Down With Clowns! We also put together a special video for everyone to enjoy! Add the website to your steemit profile. I always loved to play this kind of game and remember similar games like this before uses traditional money as rewards. Hmmm, Paypal rather was the rewards but this time it's a STEEM. This is a real game platform that people will enjoy as well as enjoy receiving rewards every day. Also, it is a huge help in the STEEM Blockchain! Excited for the future and perfect development. You are doing a great work, no problem guys. Just a question: How the Instant Upgrade range work exactly? Sometimes you can upgrade at minimum and sometimes at maximum? It's not a range. It shows the dollar amount in USD and then how much Steem that would be. This Game is really awesome. Please keep going and make that thing work properly. Games like this will make Steem great again and me addicted too. I heared that real Coders do not need to sleep, they sleep when they Code. Hurry up. Wish you Success! Ow trust me they are coding even when they sleep. But yep this game will skyrocket Steem! Congratulations @drugwars! Your post received a small up-vote from @wod-game as little gift. The game is really promising... there’s lots of new things that can be explored with blockchain technology. For example, back in the OGame time, there was an exploitative technique when the website was going on maintenance. Using blockchain this will be impossible without affecting everyone. So, new tech does really improve games features and security. I am using Linux Mint plus the Brave browser, and always when starting to play Drugwars the fan of my laptop starts and won't stop again until I finish playing. Referrals links do not seem to be working. Growing pains will make for an even better game! Also, with some bugs encountered today, some players have greatly abused them while others haven’t at all. Are those bugs fixed? What happened exactly? Will those players be rightfully punished for abusing the system? It looks like that those players are receiving now rewards which they don't deserve based from the pool or heist. Can we get a countdown/lead time before activating the battles? I don't want to login on some day, realising that I have been robbed because the feature was activated right after I have left my PC. Yes, the bugs are fixed. I won't say much about the bugs, but those players got a warning and the rewards have been saved before they could touch it. Good thing! I like to hear that. But some explanation after the bugs are ironed out completely would be nice. Also: Changelogs/Patchnotes. Seeing the differences made are always useful. Suggestion channel... hmpfh... let me guess. Discord? I hate that, but I will put it there. Thanks for the Info. The game could become amazingly addicting. Keep up the good work! Cool game and I'm looking forward to the package that every player gets. Keep it up, and I think small mistakes in the beginning are quite normal. Make the best of it. this project is already a great success and i know the more it’s developed the bigger it will become. early access means testing things and finding bugs. it’s part of the journey. congrats on all the success. we love it!! All good understand its in development! Good to see improvements happening. I'm glad that battles have been stopped for now because it is really not a good thing for new players and players who would like to play the game for free. Currently right now not only do I have Hydroponics but I've also got crack and a pharmaceutical lab! This is cool, reminds me of the old mafia wars game. What happened to my resources? All gone without an explanation? Well done on the hard work. I can imagine the pressure the developers are facing. I faced an issue also where my drugs and alcohol disappeared, I recognize that the game is still in development, so these things are bound to happen. The game has huge potencial, as soon all bugs fixed, improvements are on the way, but for sure this is a game to have fun with it. Same here, tried it alot before it would end. Didn't work. Realised later that I had produced a ton of transactions on the blockchain with the same amount. Kinda weird. He y bro i am also playing this new game is so funny ! haha see you there ! Thanks for the updates and hard work to bring the community a new and different way to engage! First of all, thank you for being so quick on the alert and exposing the situation. The task your team @drugwars set out to accomplish is enormous and should be clear that whoever participates must be aware of this. At this moment the most important thing as it has been said is to correct the errors and to make the experience the best possible for all. Including new players as well as those who have already spent time and resources in this to evolve. This must be the clear priority without ever harming any of them and thus making the game more attractive to all parties involved. I have to report that today, the game was really slow even freezing and stuck on some loading screens with the spinning circle with the mesage 'sending your request to the blockchain ..' and certain purchases or transactions did not appear on the site,I had to manually refresh the page. There were actions, I did as update buildings or buy more units that didn't even show right away in my steemd historic ... didn't appear in the game and had to do the same twice losing resources that did not work the first time. I think it's important to create a method where if there are too many transactions at once and the blockchain does not hold up. Limit these actions or have a warning on how it will only be possible to complete new actions after others have been build first. Anyway, this is part of the road and development of any game and it is these cases and problems that make it easier to know where the problems are and how to solve them. The whole team deserves a big compliment because the game, leaving aside some minor bugs and initial problems, is something incredible. Congratulations to you all and keep up the great work! Thank you for your understanding. As we said before, we never expected such a huge response from the community and were too humble in the behind-the-scene building of the game. Our devs are working to improve that and prepare Drugwars for a bigger and worldwide adoption of the game, as well as Steem Blockchain. We are also brainstorming on how to not harm the early access players while allowing new players to not feel intimidated by early players, we have different options, but for now I can't say more on that matter. This is an awesome sign. I’m glad to see effective communication unlike other games. Thank you for that, it means a lot to us, as communication is beyond important to us. You may have seen that we tried to answer to a lot of questions on Discord today but of course with all the messages it was impossible for us to answer to each one of the players. Still our PM are opened and don't hesitate to contact us directly. Oh I love this game!!! Frenchies! how's it hang'n fam! Lol :) you are always welcomed at the DWC table boss man! As long as you don't play footsie w/ me! Some rich whale should give them money to pay for additional help. Please, I need to sell Drugs! Are battles good to go? Thanks for updating us. I was tripping on my comp for a moment. Thank you @drugwars! I still expect my drugs investments to be returned. I really think this game will bring a lot more people to the steel blockchain !